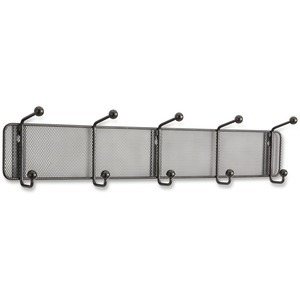 Onyx Mesh Wall Rack will catch everyone's eye with a modern design that has style all wrapped up. 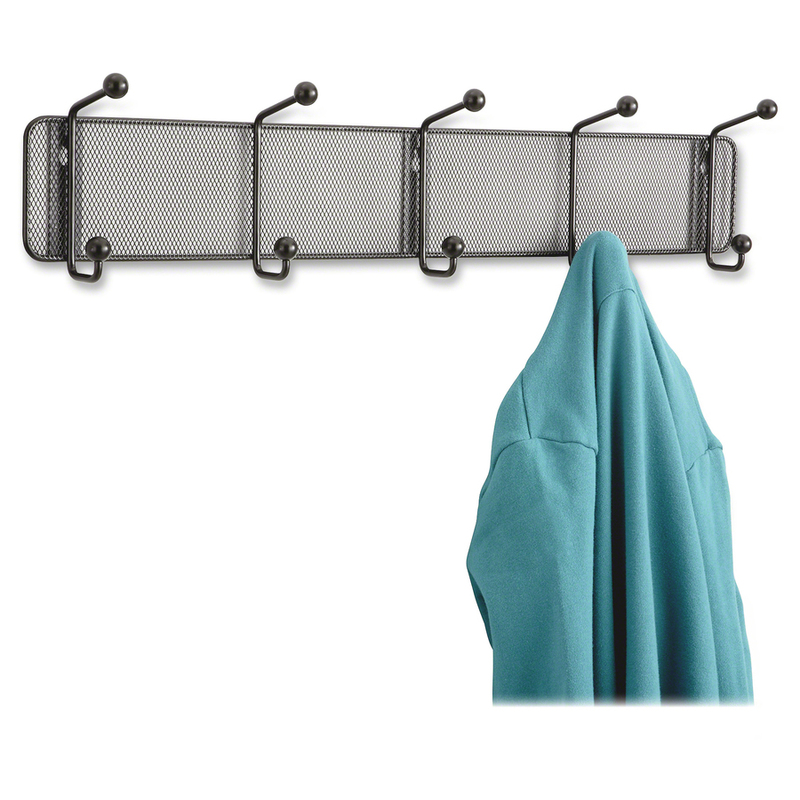 The five round, double hooks help protect scarves, hats, coats and other garments from damage. Rack is made of steel mesh with a powder-coat finish.